The cruise lasts roughly three hours. This is a private cruise for your party. 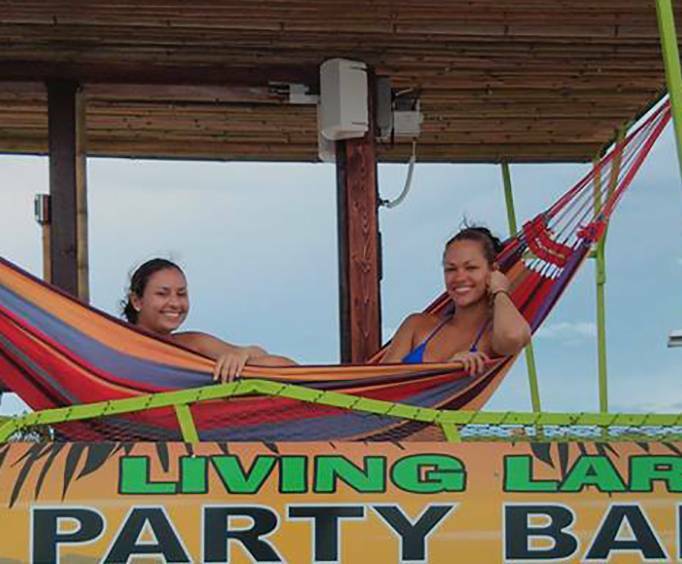 Grab your drinks and hop aboard the Living Large Party Barge for a fun-filled three hours of drinking, adventure, and relaxation! For the ultimate party excursion, tag along for the thrilling adventure along the Intracoastal Waterway. 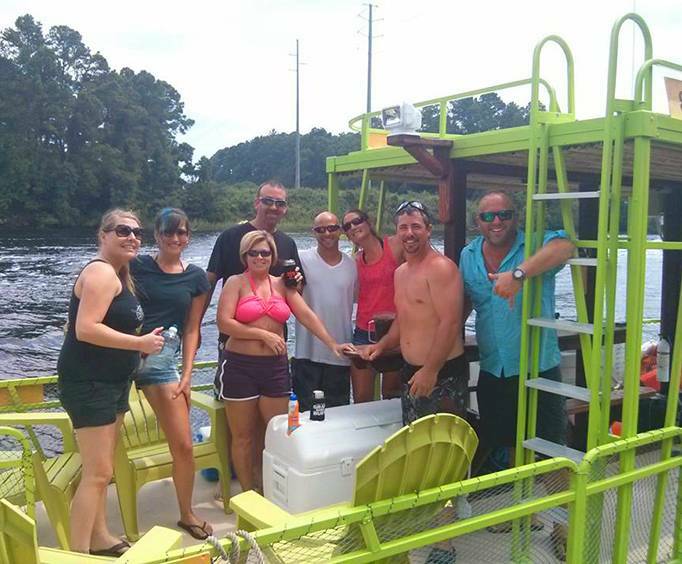 Whether you want to bring your friends for a day of drinking or are planning a party, the perfect setting for any event is aboard the Party Barge! Spend hours soaking up the rays while you toss back a few drinks. Explore the waterway as Captain Joel takes you along for a fantastic cruise while you learn about the area and its history. These intercoastal waters are calm, so guests won't need to worry about sea sickness. Jam out to some of your favorite tunes that play on the onboard Sirius Satellite Radio and enjoy the complimentary cooler and 40lbs of ice for BYOB and snacks. Enjoy some great conversation and good times with your closest friends as you see what your journey has to offer. Guests will also be able to visit the back of a gorgeous private, uninhibited island where they can fish or swim along the shores. Catch some rays on one of the 6 Adirondack beach chairs or walk your furry pal along the beach as these cruises are all dog-friendly! Captain Joel will even teach fishing fanatics how to catch their own bait with a cast net. Great views of some of the most exquisite segment of the Atlantic ICW are waiting to be seen. You will see some of the most extravagant homes and landscapes that life can offer you along this cruise, so be sure to pack up your camera to get photos. Captain Joel is the perfect host for the party of your dreams. 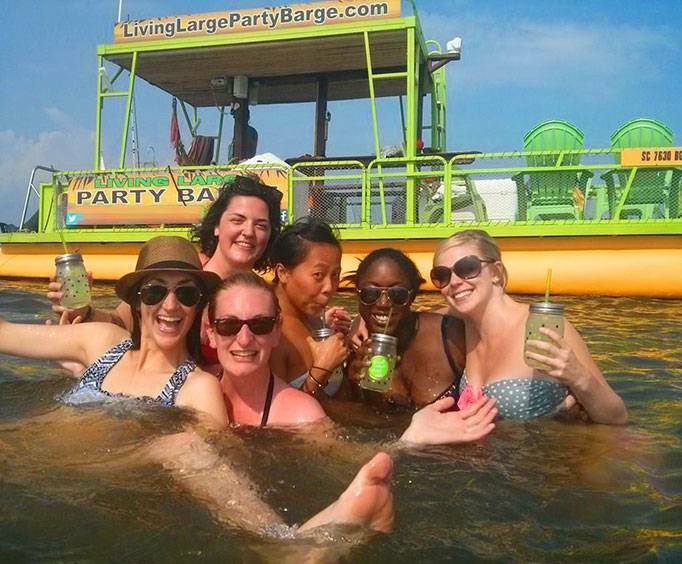 Make sure to check the Living Large Party Barge for your next party outing, and make it the best experience to date! What type of seating does Living Large Party Barge 3 Hour Booze Cruise have? There are chairs to sit in. Approximately how long is Living Large Party Barge 3 Hour Booze Cruise? The entire excursion is approximately 3 hours. How many decks or levels are there aboard the Living Large Party Barge 3 Hour Booze Cruise? What lake or river does the Living Large Party Barge 3 Hour Booze Cruise cruise on? The cruise is on the Intracoastal Waterway.